Just a quick reminder, I'm still in search of votes from all my fabulous readers. I get several emails asking me to show tutorials on how to make my jewelry but very rarely do they specify which piece. So, the big question.... which piece would you like me to do a tutorial on first? 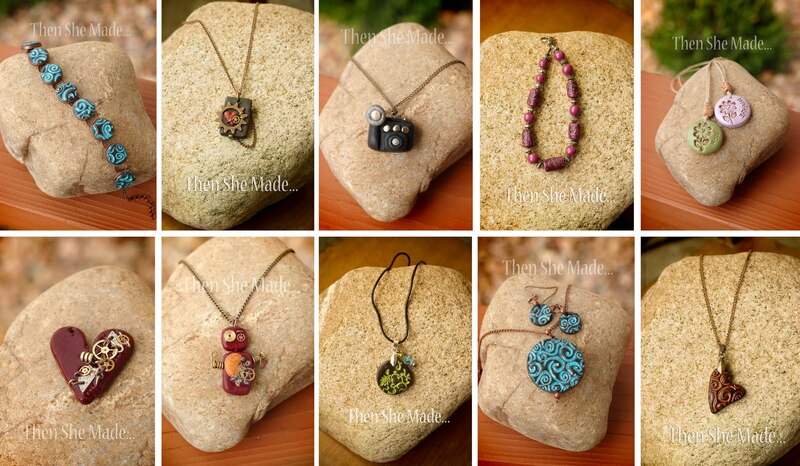 To vote, check out my jewelry items on my jewelry page, remember the name of the piece you like and then go here and leave a comment telling me which tutorial you'd like to see. By doing so you'll automatically be entered to win one of my jewelry pieces - you choose which item. Cool, right?! Hurry though, voting ends on Sunday, January 8th. I love the turquoise swirl bracelet. I actually love all your jewelry, but I would really aappreciate learning how to make the bracelet. I agree. I'm having a hard time choosing a favorite! Each has its own unique appeal. You might want to start your own bridal jewelry in NYC store.